Theodore “Ted” McKinley Hagemeyer was born on March 14, 1931in Stendal, Indiana. His father McKinley Hagemeyer was a school principal and his mother, Norma was stay-at-home mom to him and 2 younger brothers, Maurice and Paul. During his birth, Td had injuries on his ears and that is how he became Deaf. At age 7 he started at the Indiana School for the Deaf in Indianapolis. As the only deaf person in his home town, the doctor who delivered Ted reassured the family that there was a Deaf school in Indianapolis where he could go to learn and to have a profession. After graduating High School in 1952, he enrolled in Gallaudet College. During this time, he participated in drama and dance club, social events and varsity basketball for three years. It was where he won the heart o his future wife, Alice Lougee and began courting her. 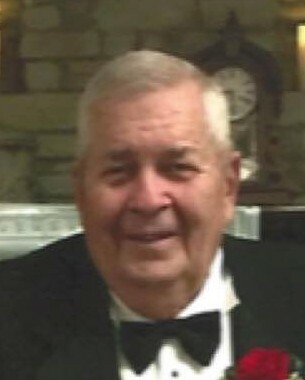 He graduated in 1957 with a bachelor’s degree in Business Administration. Alice and Ted got married on August 10, 1958 in her hometown, Morrill, Nebraska. The newlywed took a road trip to Colorado Springs for their honeymoon. They moved into an apartment in Washington, D.C. where Ted worked as a printer with several different companies. The longest employment was with the Washington Star for 9 years. While working, he joined the Communication Workers of America union. In 1981, the newspaper declared bankruptcy and all workers were laid off. Since then, he became a stay-at-home dad taking care of 10-year-old daughter, Noreen and 15-year-old son, David. He enjoyed participating in deaf clubs such as poker, bridge, golfing and bowling. With Wyoming as their final destination, Ted began a yearly summer tradition to take the family on a road trip to visit friends and family along the way. The Hagemeyer’s belong to a Lutheran Church fellowship where his memorial would be held. As he got older, Ted enjoyed coin collecting, watching sports and horse races. He was known to have a great sense of humor. On November 20, 2018, Ted passed away peacefully with loved ones by hi side at the University of Maryland Baltimore Shock Trauma Center. Today, his immediate family consists of his widow Alice, son David and his wife Leslie, daughter Noreen and her three children, Angela, Antonio and Andrew. Donation in Ted’s memory may be directed to Christ Lutheran Church of the Deaf, 9545 Georgia Ave., Silver Spring, MD 20910. Thanks to Gerald and Rita Ahrens for the information.